their final game at the Ryan Center. 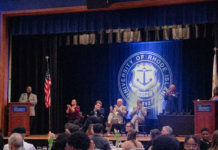 A regular season championship and senior night celebration, along with the second worst loss in the history of the AP Poll make up what has been a roller-coaster week for University of Rhode Island men’s basketball program. The confetti had fallen, the nets were cut and the Rhode Island Rams were Atlantic 10 regular season champions for the first time in program history. The Rams had beat the Dayton Flyers 81-56 in front of a sold out Ryan Center on Friday night with a their last home game of the season slated for Tuesday night against Saint Joseph’s. Friday’s performance was typical to that of the Rams this season. Rhody had three starters score in double figures. E.C Matthews had 18, Jared Terrell tallied 17 and Jeff Dowtin led all scorers with 20 points. Dowtin also had five assists and a pair of steals and rebounds, and was awarded Co-Atlantic 10 Player of the Week for his efforts against the La Salle Explorers and the Flyers. URI shot 54.1 percent from the field while holding the Flyers to 43.5 and just 16 percent from beyond the arc. Tuesday night did not go according to the script. The program honored its five seniors, Matthews, Terrell, Andre Berry, Stanford Robinson and Jarvis Garrett. After the ceremony everything began to go downhill. 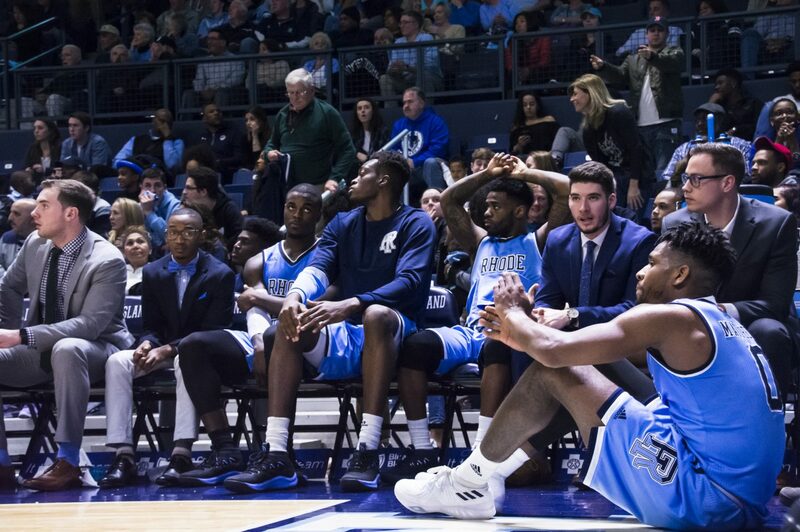 Rhode Island would drop just their fifth win of the season and their first home game falling to the Hawks 78-48. The Rams shot 18-64 (28.1 percent) from the field, including 3-29 (10.3 percent) from three-point territory. Rhode Island’s only lead of the game came with 17 minutes left in the first when they had a 7-5 lead over the Hawks. Hurley also acknowledged the emotion surrounding the game. More specifically, what the outcome meant to the seniors. “Just disappointed in this group of guys going out this way,” Hurley said. “Lack of respect for the opponent,” Matthews said about the 14-15 Hawks. “I don’t think we respected them enough. They came in and they hit us and we didn’t know how to respond. The positive for the Rams is with the win on Friday, the Rams have clinched the No. 1 seed in the A-10 tournament next week in Washington D.C. and will play their first game on Friday, March 10. Before that, Hurley and company have one more piece of business to take care of as they will travel down south to take on the Davidson Wildcats in the season finale tomorrow night.